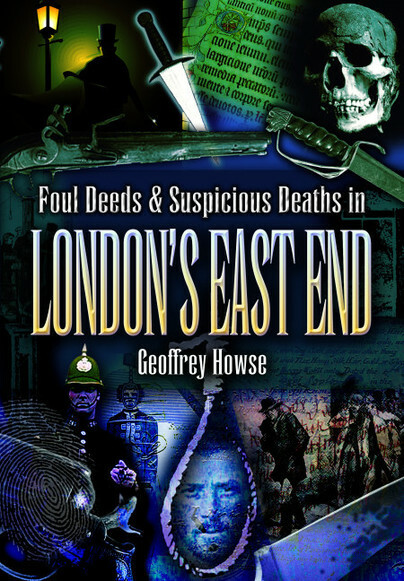 You'll be £4.99 closer to your next £10.00 credit when you purchase Foul Deeds & Suspicious Deaths in London's East End. What's this? For centuries London's East End has been associated with some of the worst elements of human depravity, where foul deeds and murder were commonplace; and in 1888 the area's notoriety was added to by the horrific murders committed by Jack the Ripper. The East End was populated by people crammed together in close knit communities. As the East End had grown from the ancient villages along the river, so much of the village atmosphere remained and rivalry existed throughout the area despite there being some of the worst depravity and vilest slums to be found anywhere in the country. For instance the residents of Bethnal Green looked down their noses at those from Hoxton, barely half a mile away. During the 1930's after the depression a Government report estimated 60% of the children in Bethnal Green suffered from malnutrition and 85% of the housing was unsatisfactory. These were the times when the notorious Kray Twins were cutting their teeth. For centuries the East End's notoriety for foul deeds has remained unsurpassed in the annals of crime in this country. This claim to fame, is not without justification, as the pages of this book show.